Are you guys all enjoying the Olympics? I’m super psyched now, cause I managed to get my hands on some last minute gymnastics tickets! Next Tuesday I’ll be seeing the finals for men’s parallel bars, men’s horizontal bars, women’s bean and women’s floor. I’m so looking forward to it! 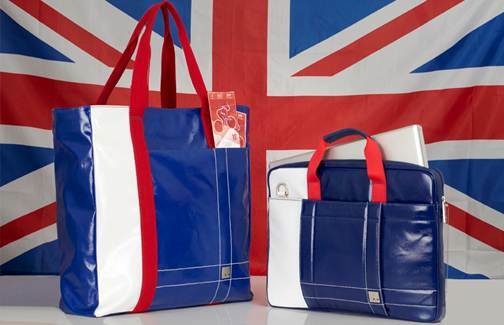 I thought you all would be interested in hearing about a cool competition Knomo is running: you have the chance to win £200/€250/$250 worth of products from their website, as well as a UNIQUE knomo Olympia tote bag (the bag on the left) signed by Olympic hopeful Marvin Sordell, one of the Team GB footballers. All you need to do is tweet @knomo a photo of “Olympic London” with the hashtag #MyOlympicLondon (or upload the photo on their Facebook competition page). The best/most creative/inspiring photo will win! You can find the exact terms and conditions on their Facebook page.